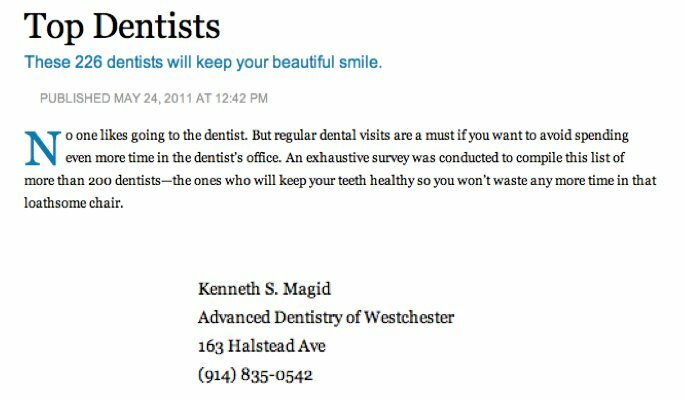 Dr. Magid, DDS, FICD, is a renowned and respected teacher, clinician, dental technology expert, and smile artisan. His commitment to providing lifelike results with the most advanced, minimally invasive, and functionally sound therapies has kept his patients coming back for more than thirty years. His position as Clinical Associate Professor of International Esthetic and High Technology at NYU College of Dentistry, as well as his appearances on ABC-TV, interviews by the New York Times, and status as an internationally known lecturer have helped to reinforce patient confidence in his knowledge and abilities. His standard of care, supported by research and clinical findings, is combined with warmth and caring to provide exemplary service.